Chickens were immunised with Digoxigenin conjugated with KLH. Our Abpromise guarantee covers the use of ab51946 in the following tested applications. WB: Use at a concentration of 1 - 2 µg/ml. Publishing research using ab51946? Please let us know so that we can cite the reference in this datasheet. I bought an Anti-Digoxigenin antibody (ab51946) 3 months ago. I stored them at -20 celsius degree as aliquot parts. This antibody worked well when I used it 3 months ago. However, it seems going bad when I used it last week. How long will this antibody be stable? Is there any suggestions to keep the antiboy life longer? Thank you for contacting us. I am sorry to hear that you have encountered problems wit this antibody. 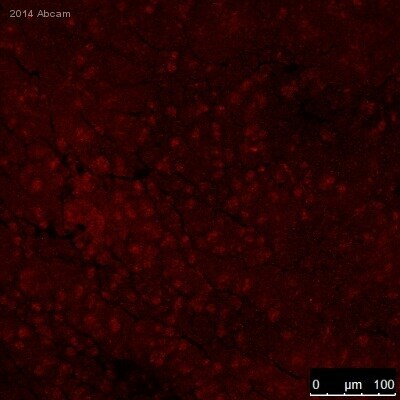 According to the datasheet (https://www.abcam.com/digoxigenin-antibody-ab51946.html), the recommended storage temperature is 4 degrees, not -20 degrees. This is probably why the antibody was originally working well and is now not working anymore. We do strongly recommend following the storage instructions on the datasheet - they can vary from antibody to antibody based on composition of the storage buffer and type of antibody. If the antibody is stored correctly, it should be good for about 1 year (in case of 4 degree storage). Our guarantee is valid however for 6 months after the purchase: We guarantee all our products for tested species and applications as listed on the datasheet. The guarantee is valid for 6 months after a purchase. For more details about our Abpromise guarantee please check this link: https://www.abcam.com/abpromise. I hope this information is helpful to you. Please do not hesitate to contact us if you need any more advice or information.